Online classifieds firm Quikr India Pvt. Ltd has secured Rs 130 crore ($19.4 million) from Brand Capital, the ad-for-equity investment arm of media conglomerate Bennett, Coleman and Company Ltd (BCCL). VCCircle had first reported in May this year that Brand Capital was investing in Quikr and e-commerce marketplace Snapdeal. 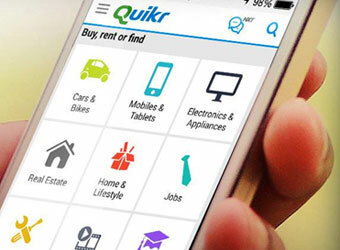 The investment in Quikr was made via fully convertible debentures, the Mint newspaper reported on Friday citing documents filed with the Registrar of Companies. Quikr didn't respond to an email seeking comment by the time of filing this article. Brand Capital has been making a number of investments over the past few months. Its most recent investment was in Gurgaon-based waste management firm ExtraCarbon earlier this month. In June, it invested $25 million (Rs 150 crore) in Mumbai-based radio taxi firm Meru Cab Company Pvt. Ltd. Also in June, VCCircle reported that it was in talks with Flipkart to pick up a small stake in the e-commerce firm. Quikr competes with OLX in the online classifieds segment. Founded in 2008 by Pranay Chulet and Jiby Thomas (who later left the firm), the company originally started as Kijiji India and then later rebranded to Quikr. It counts Tiger Global Management, Kinnevik, Warburg Pincus, Matrix Partners India, Norwest Venture Partners, Nokia Growth Partners, Steadview Capital, Omidyar Network and Ebay Inc as investors. In January this year, it acquired real estate portal CommonFloor to merge it with its property listings business QuikrHomes. Two months later, Quikr was in the news for laying off between 150 and 200 employees of CommonFloor.